Our image of the future of the business includes slides instead of stairs, lounge areas instead of boardroom chairs and a rainforest chill-out area with accompanying bird song (all these things are proved in studies to fuel creativity). We were not particularly looking forward to the structure that the ISO 9001 and ISO 14001 would bring, but the standard doesn’t require that you do something in any particular way, only that you do it successfully. We were proud to achieve both the ISO 9001:2008 and the ISO 14001:2004 certifications for the first time back in 2010. Above all, we want our team of loyal staff to enjoy coming to their work and believe that a good balance between work and fun will help us get the best from each other. 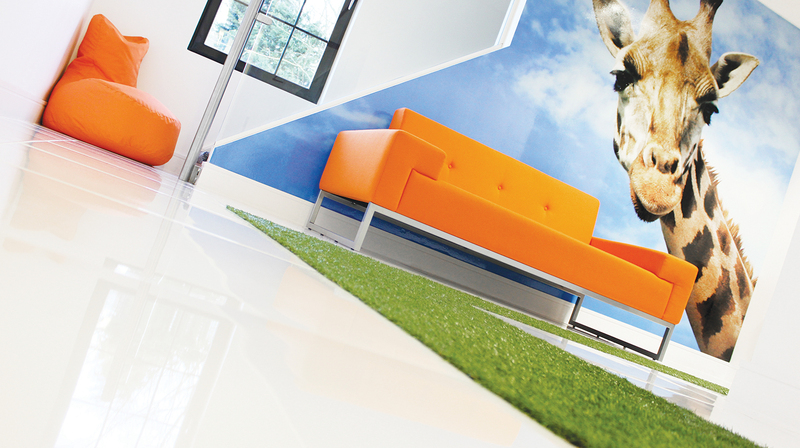 We don’t just like to think creatively, we are also passionate about working in harmony with the environment. Mesh’s ergonomic range of office chairs are some of the most environmentally friendly on the planet, and we are active in various green office practices such as recycling of all our office waste and our plans for a wild garden within the grounds of our new premises to encourage wildlife. All of our literature is available digitally and we encourage our staff and customers not to print unless absolutely necessary. The following details our green policies. We aim to implement a number of efficiency measures to reduce our consumption of energy and water. Working with our waste management contractors we aim to operate a Recycling Programme. – All plastic, cans cardboard and paper are segregated into waste streams. – The majority of office waste paper is shredded and recycled via contractor. – Electrical items are taken to the local authority recycling station. We aim to significantly reduce our use of paper through a number of measures. We take into account environmental policies when selecting suppliers. We are measuring the companies carbon footprint and have an objective in place to reduce this as part our IMS objectives.